Stephens Automotive is a full-service automotive business with over 100 years of combined experience in auto repair. If you need car repair services contact the experts at Stephens Automotive. We have 5 ASE Certified Technicians that have the knowledge and expertise to assist you with any car repairs you may have. Auto repairs near Arlington Heights are only a phone call away. Our technicians are available to give you a car repair estimate today. If you want your car repairs done correctly come to the company who doesn’t cut corners! Stephens Automotive is the best auto repair service near Arlington Heights. The village of Arlington Heights, Illinois is home to the Arlington Heights Memorial Library, which has one of the largest collections in the state. Arlington Height has a little over 75,000 people residing there. 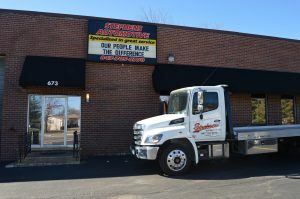 Most of Arlington Heights residents come to Stephens Automotive for their car repairs. Our 2,000 satisfied customers highly recommend us to friends and family. We believe that honesty and integrity are more important than half fixes at discounted prices, costing you more money down the line. Stephens Automotive specializes in quality, honest auto repairs of domestic and foreign vehicles. Our technicians can work on any make or model. Come to Stephens Automotive to get your car repair estimate that is through with competitive pricing. We are a trusted car repair business that is fair and reasonable. We want to keep our customers safe by providing quality car repairs. If you need a car repair call the certified team of Stephens Automotive at (847) 705-8770, to get your car repair estimate today!